For more than a century now, we at Okuma have made history by making and marketing a wide array of machine tools with our cutting-edge Okuma technology. We pride ourselves on being an all-round manufacturer that develops its own machines and controls specifically for one another. Our "Thermo-Friendly Concept" for safeguarding virtually incredible accuracy and our new "Collision-Avoidance System" are also hallmarks of Okuma's innovative thinking. 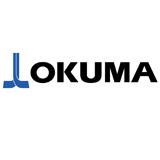 Okuma concentrates on the core industrial sectors milling, turning and grinding and a product development which includes CNC-control, drives, position detection systems and software – perfectly attuned to each other. The target is maximum customer benefit through technological leadership, reliability and continuity.